During today's big media event, Apple unveiled the Apple Watch Series 2, with an emphasis on the wearable's swimproof and activity tracking features. To a lesser degree, the company mentioned the casing materials -- aluminum, stainless steel, and now ceramic -- and detailed new versions of its bands created with collaborator Hermès. Interestingly, it didn't divulge any of the new versions of its own first-party bands and collections, of which there are quite a few. Below we'll list out each new collection of the Apple Watch Series 1 and Series 2 by case type. Unless specifically designated, each collection has both 38mm and 42mm sizes. 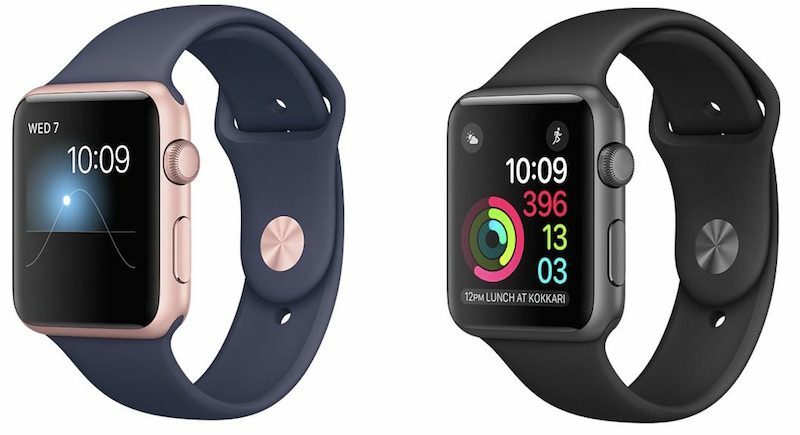 For aluminum, the pricing structure is as follows: $269 (38mm) and $299 (42mm) for Series 1 models, and $369 (38mm) and $399 (42mm) for Series 2 models. Given the various bands included with stainless steel cases in these collections, pricing is more varied than the aluminum models. The collections start at $549 (Sport Band), $649 (Classic Buckle and Milanese Loop), $699 (Leather Loop and Space Black Milanese Loop), $749 (Modern Buckle), $949 (Link Bracelet), and $1049 (Space Black Link Bracelet). Only available in one collection, the ceramic collection is available for $1249 (38mm) and $1299 (42mm). The Apple Watch Series 2, as well as the upgraded Series 1, will go on pre-order this Friday, September 9. After that, the wearable device will launch in more than 25 countries -- including the United States, United Kingdom, and Canada -- on September 16. Check out the MacRumors event recap post for every piece of news from today's media event, including articles on the iPhone 7 and iPhone 7 Plus, as well as details on the Apple Watch Series 2. To me, the new watch makes good on the promise of the original apple watch concept. It is far more versatile now. People will want this. They generally DON'T want to wear a Garmin sports watch all day long. It has nothing like the interface, functionality, or (most importantly) style, of the Apple Watch. You would not go to a business meeting wearing a garmin. You would not go to a nightclub wearing a garmin. Whereas you absolutely would engage in these activities, wearing an apple watch. As a swimmer, the new additions really make me think I should sell my stainless steel 42mm apple watch and upgrade... I mean, come on, after a workout the speaker spits out any water remaining on the driver. That's amazing! Any guesses on how much I'd get for my stainless steel 42mm Apple Watch? Should I sell it on eBay, or Craigslist? Be interested in your views. Thanks! The Apple Watch 2 definitely did not sway me as much as I thought it would. Still on the fence. 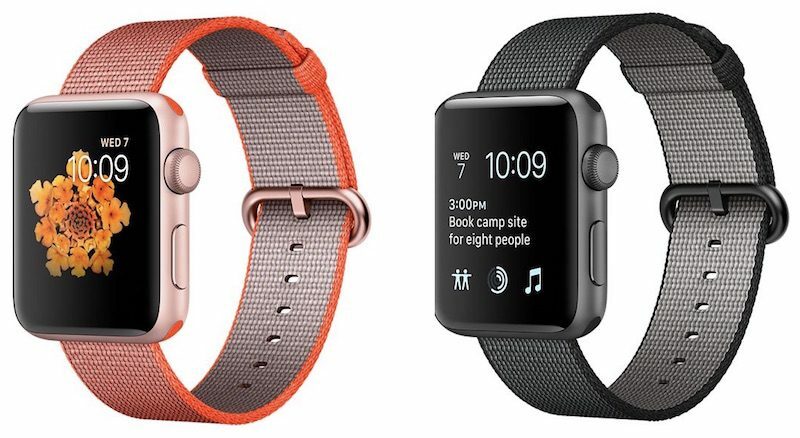 Glad they got rid of the Apple Watch Edition. That was a joke. The ceramic looks interesting. This is idiotic. Sell the watch itself alone and let customers pick a band. I really like the ceramic option. It's a great material for a watch, just don't drop it. Ridiculous that they are not offering a Series 1 Apple Watch in stainless steel at a lower price point. I was looking forward to that model sticking around with a lower price. Oh well. At £369 for a gps Apple Watch I think most sporty types will stick with their Garmin. At £269 you might tempt one or two.